A FERS Postponed Retirement is when you separate from service with at least 10 years of creditable service, and you have at least reached your MRA (Minimum Retirement Age). But instead of drawing your pension when you separate from service – you postpone it until later. Why would you postpone drawing your FERS retirement pension? Because if you started your pension right away, it would be subject to a hefty and permanent reduction of up to 35%. But if you postpone drawing your pension, you can reduce or eliminate that reduction. We’ll talk more about that reduction in a moment. It’s important to note that a Postponed FERS Retirement not the same as a Deferred FERS Retirement. Even though they sound the same, a Postponed FERS Retirement is much *better* than a Deferred FERS Retirement. That’s because with a Postponed FERS Retirement you may be able to resume your FEHB coverage into retirement. But with a Deferred Retirement – you can not keep your FEHB in retirement. To see a comparison of the two, check out our page on Postponed FERS Retirement vs. FERS Deferred Retirement. Because with FERS MRA+10 Retirement… you have the option to start your pension when you leave – but it will be permanently reduced by as much as 35% depending on how far you are from reaching age 62. But if you wait – you can reduce or eliminate that reduction by postponing your pension. If you were eligible for a regular FERS Retirement (ex: MRA+30, 60+20, 62+5) there is usually no need to do a Postponed FERS Retirement. Postponed Retirement really only makes sense when you were eligible for a MRA+10 Early Retirement – but want to avoid the early retirement penalty. How Does Postponed FERS Retirement Work? Let’s say you have 10 years of creditable civilian service and you’ve reached your MRA. You want to leave federal service. You know you could turn your pension on now with an MRA+10 Early FERS Retirement. But if you start drawing your pension now it will be permanently reduced by as much as 35%. 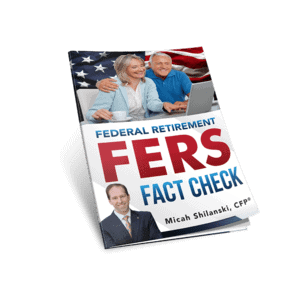 To get your full pension, you can do a Postponed FERS Retirement – but how does that work? First – you want to be sure that you have at least 10 years of creditable service. And of those years, you must have at least 5 years that are creditable civilian service. (Bought back military time doesn’t count towards this 5 year minimum requirement). Second – when you separate from service – you must leave your contributions in the system. If you take a refund of your FERS retirement contributions – you are no longer eligible for a Postponed FERS Retirement. Later – when you wait to reach a specific age (usually 62) – you can contact OPM and file paperwork to start your FERS pension. How Long Do You Have to Postpone? You’re postponing your pension until you reach the rules for regular FERS retirement. Once you reach those you are able to draw your pension without a reduction for MRA+10 Early Retirement. The age requirement depends on how much service you had. The more creditable service you had when you left – the earlier you can begin drawing a FERS pension. Since most people considering a Postponed Retirement generally have less than 20 years of service, it means they have to wait until age 62 to avoid the reduction. This is actually quite similar to a FERS Deferred Retirement – except the big difference is that you were eligible for MRA+10 Retirement *before* you separated from service. And in a Postponed FERS Retirement you the option to resume your FEHB coverage into retirement. But you do not have that option with a Deferred Retirement. And if he starts his pension now – the reduction is *PERMANENT*. Bob will never get that reduction back. His pension will be $583/month until he’s 62. When he’s 62 it will *NOT* go back up to $833. At 62 he could get COLA (if there is one that year). Let’s say COLA that year was 2% – Bob’s pension would then go up to $594/month after age 62. But if he did do an MRA+10 Retirement, as long as he was eligible to keep it in retirement (which generally means having had FEHB for 5 years before separation) – Bob’s FEHB coverage would continue right into retirement. But what if Bob didn’t want to take that 30% reduction? Every year Bob postpones starting his pension, the reduction will be 5% less. So if Bob waits a year until he’s 57, the reduction will be 25%. If he waits until he’s 58, the reduction would be 20%, etc. etc. And when Bob reaches age 62, he can start his pension without any reduction. So Bob punches out at age 56. He leaves his FERS contributions in the system. A few months before Bob reaches age 62, he fills out paperwork for OPM to start his pension when turns 62 with no reduction. If Bob waits until he is 62, he will receive the full amount of $833/month. Bob will still have other reductions, like the cost of a survivor annuity, taxes, FEHB, etc. But his pension will not be reduced for age. When you do a Postponed FERS Retirement – you will have a gap in FEHB coverage. You had FEHB up until you separated from service. And if you have your ducks in a row you can start FEHB again when you draw your pension. But there might be several years between when you separate and when you draw your pension. Before you do a Postponed FERS Retirement – it’s important to know how you’ll address this health insurance gap. Because if you can’t – it might be better to just do a regular MRA+10 Retirement and take your pension now *with* the reduction. If your spouse is still working and has good health insurance through their employer that is usually your best bet. There are so many details and every plan might be different so we can’t cover every possibility here. But be sure that you keep your FEHB until you’re separated. And make sure you’ll be able to get on your spouse’s plan when you do separate. Whatever you do – be sure that you will not jeopardize your ability to pick up FEHB again when you start your pension. This next option is not ideal – but I wanted to mention it because for some people it might be useful to consider. And I think it always makes sense to know your options and run the numbers for your personal situation before making any decisions. When you separate from service, you have the option to do Temporary Continuation of Coverage (TTC) (which is also sometimes called COBRA). You can typically do TCC for up to 18 months. But TCC is *expensive* – compared to what you’re used to paying. But the percentages here are just averages. The numbers vary based on which plan and options you choose. Just for walking around numbers, let’s take a look at the 2019 rates for Nationwide Blue Cross and Blue Shield Service Benefit Plan for Self + Family. The amount you the employee pay is $581/month. The full cost of this plan is actually $1,719/month. This means the government pays $1,138 each month. While the government covering 72% of the premium is the general rule – the amount the government pays is actually based on a specific formula looking at the average costs of all of the FEHB plans. So in this example, the government is actually only paying 66% of your plan and you’re paying 34%. However, when you go to TCC, you’ll be paying 102% of the premium. Which in this example would $1,754/month. Each plan and premium is different – but you get the picture… TCC is not cheap. But in my experience, even though TCC is expensive, it is nothing compared the cost you would pay for comparable benefits under your own individual plan or through a smaller group plan. You just can’t beat FEHB in terms of what it covers. You might be able to get less expensive plans on your own, but they won’t cover as much as FEHB. I’ve helped clients evaluate their health insurance options before… we can’t even get near the cost of FEHB-TCC for comparable coverage. Before you make any decisions, you need to weigh out the costs and how much coverage you really need. Considering a Postponed FERS Retirement? Make sure you’re eligible and *double* check your service history. It would be a shame if you thought you had 10 years of creditable service but really only had 9 years 11 months. Lots of federal employees have issues with their service history – but most don’t find out until they go to retire. Check out our page on reviewing your SF-50s. Write out your scenarios and estimate your pension for each case. Remember that the MRA+10 Early Retirement reduction is *PERMANENT*. However – if you don’t have good health insurance coverage through your spouse – it might make sense to take the reduction anyways. Run the numbers for your personal situation before you make any big decisions. Are you financially ready to retire? Just because you are eligible – doesn’t necessarily mean that you can afford to retire. Your federal benefits are just one piece of your bigger financial picture. To learn more about Postponed retirement – check out OPM’s CSRS / FERS Handbook, Chapter 42 Look for “Part 42A4 Postponing Retirement Benefits”. Feeling Overwhelmed? Looking for Personal Help? Are you looking for someone to help you plan your federal retirement? Are you feeling overwhelmed and wish there was someone who could sit down and help you walk through all the options? I’ve helped my federal employee clients evaluate their options before they retire. I’ve helped hundreds of my clients navigate the ins and outs of the federal retirement system and make sure they were getting the most out of their benefits. Click here to find out more about how you can get personalized help with your retirement. If you’re planning your federal retirement – you want to be sure you’re not missing anything. Above all, be sure you understand all of your options *before* you separate for service. If you’re thinking about retirement – you’ll want to sign up for our monthly E-Zine Newsletter. Each month we send out a new and original article on important concepts that will help you plan your federal retirement.